FEW words today carry a more negative meaning than the term Taliban. It is supposed to stand for everything backward, reactionary and benighted: harsh punishments, the seclusion of women and a mindset conducive to the promotion of ‘terrorism’. Opposed to Talibanism is something called ‘moderate’ Islam which is supposed to stand for progress and enlightenment. Since September 11 the United States has been spending huge sums of money (ask US-Aid) in this battle of ideas, denouncing ‘extremism’ and promoting a fuzzy picture of ‘moderate’ Islam. Whether it is meeting with any success in this battle is hard to say because the US has never been more unpopular in the Islamic world. Most rulers of Muslim countries may be America’s friends, if not its satellites, but at the level of popular opinion it doesn’t take much to realize that anti-Americanism is on the rise. Much of this has to do with American double standards. American atrocities in Afghanistan and Iraq, of which there has been no shortage since the invasion of both countries, is all for the good, part of a grand design to promote democracy. Resisting American aggression and occupation is ‘terrorism’. Dishonesty up to a point is perhaps bearable but when it crosses all limits and becomes a daily occurrence don’t be surprised if the reaction is outrage. Every time President Bush appears on television and speaks on Iraq it is possible to visualize some more Arabs or Muslims going over to the anti-American camp. Al-Qaeda doesn’t have to stoke anti-American feelings. The Bush administration does that job better than anyone else. Regarding the Taliban, however, it is easy to be critical about them, less easy to say a word in their praise. But some things stand out and are difficult to ignore. For instance, for all their narrow-minded interpretation of Islam, the Taliban at least have the courage of their convictions. Many of us supporters may not agree with the austerity and rigour of their doctrine. But it is hard not to admire their courage and tenacity. Against all the odds they are still fighting the Americans and, hard though it may have been to imagine this four years ago, getting stronger by the day. The best that so-called Islamic ‘moderates’ seem capable of is to curry favour with the US. The long-bearded narrow-mindedness of the Taliban may be frightening but the fawning attitude of the ‘moderates’ is sickening. The Taliban may be too rigid but so-called moderates are too spineless and seem to lack all conviction. Post-September 11 the US asked the Taliban leadership of Afghanistan to hand over Sheikh Osama bin Laden. Mullah Omar, the Taliban Emir, refused, saying that any charges against bin Laden could be examined by an ‘independent tribunal’. Call the Taliban foolhardy but at least they did not deliver a guest, and an honoured one at that, to his enemies. Contrast this with our attitude. 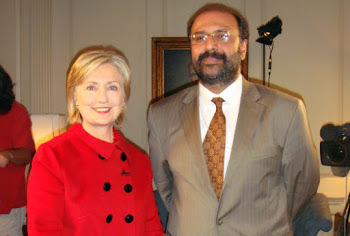 Mullah Zareef was the Taliban’s accredited ambassador to Pakistan and as such under our protection. But when the Americans asked for him our military government handed him over without a moment’s hesitation. Come to think of it, hardly something to be proud of. Would the Americans have been impressed? More likely, they would have caught the impression that the Pakistani leadership could be pushed around. No wonder, they have been pushing it ever since. Avoiding stupidity or rashness, we should have stayed neutral in the impending conflict over Afghanistan. We had no choice but to cut our links with the Taliban. But our military whiz kids went beyond the dictates of prudence and caution. Far from staying neutral, they offered forward bases and other facilities to the Americans. This was uncalled for and went against the sentiments of most Pakistanis. The argument given was that Pakistan was being saved. In fact, the military government was saving its own skin, ending its international isolation and getting a new lease of life. No one is saying, and certainly not I, that we should have followed the path of the Taliban. But it would have done us no harm if we could have borrowed some of their resolve. 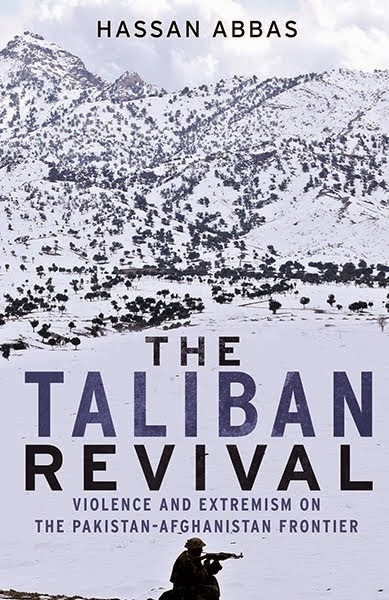 The Taliban are fighting a difficult war from the mountains but they are still their own masters. They have lost power and much else besides but not their self-respect. Mullah Omar, hiding God knows where, remains as defiant as ever. We have a huge military, nuke capability and all sorts of missiles named after our vaunted heroes: Ghauri, Abdali and, most recently, Babur. (Although Abdali, incidentally, is a poor choice. Despite being the victor of the third battle of Panipat, his repeated invasions of Punjab caused much devastation and suffering.) But of what use all this military muscle when it does nothing to strengthen self-confidence? Clinton as president comes here for a few hours and ends up insulting us. Bush comes here and there is more humiliation flung our way despite all the services Pakistan’s military rulers are rendering in the fight against al-Qaeda and the Taliban. Nukes and missiles are not of much help in such a situation. We don’t have to seek US hostility. But we can also avoid unnecessary toadying. And we must learn to think for ourselves, which we won’t do unless we get out of the American orbit in which we have revolved for too long. The demonizing of Islam after September 11 has gone far enough. We don’t have to be apologetic about Islam or fall for the American-inspired dialectic of ‘moderate’ and ‘radical’ Islam. As far as the Americans are concerned, any Muslim country toeing the American line is moderate. Any Muslim country standing up for itself is radical. There is nothing wishy-washy about Islam. The essence of the faith as propagated by Muhammad, (Peace be upon him), is radical and revolutionary. Stripped off the time-serving interpretations of theologians (theologians being the bane of Islam) it stands for the empowerment of the weak, the humbling of the mighty, the liberation of women, government by consent and consultation, and bread, security, learning and hospitals for every citizen, high or low, of the Islamic commonwealth. The Islam of the Prophet is a fusion (never attempted before or since) of two great principles, socialism and democracy. The spirit of this fusion was best expressed by Hazrat Omar when he said that even if a dog went hungry by the banks of the Euphrates (some distance from Makkah, the Islamic capital) Omar would have to answer for this on the Day of Judgment. And by Hazrat Ali when he said that a tyranny, even if covered in the mantle of Islam can never endure. There’s nothing ‘moderate’ about these thoughts. They are radical to the core. Agree or disagree with Osama bin Laden’s tactics, his aims are intensely political: an end to American hegemony over the world of Islam, justice for the Palestinian people, the toppling of ‘apostate’ regimes subservient to America. Al Qaeda may be inspired by Islam but it is not a religious organization in the strict sense of that term. What it stands for and what it strives to achieve is a response, primarily, to the excesses and double standards of American foreign policy in relation to the world of Islam. Ignoring this sequence of cause-and-effect is both misleading and dishonest.